Missing Saudi journalist Jamal Khashoggi may have recorded his own death on his Apple Watch, it has been claimed. He turned on the recording function on the device before walking into the Saudi Arabia embassy in Istanbul on October 2, according to Turkish newspaper Sabah. Then his 'interrogation, torture and killing were audio recorded and sent to both his phone and to iCloud', the newspaper report. 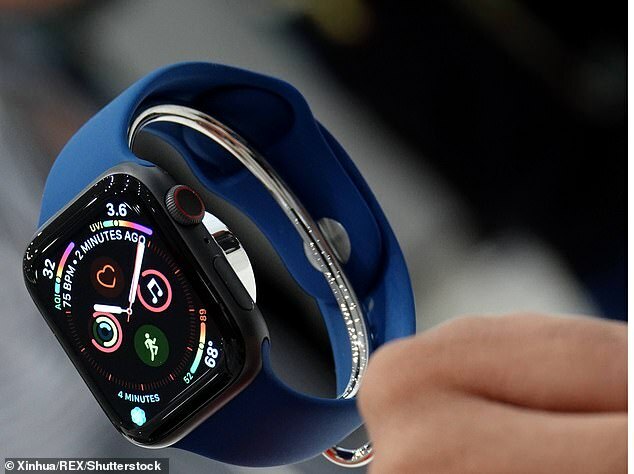 His assailants tried to hack into the watch with multiple failed password attempts before using his fingerprint to unlock it and delete some files, the report claims. Security forces leading the investigation into Khashoggi's disappearance found the audio file on the phone he had left with his fiancée, according to the paper. However, unlocking an Apple Watch using fingerprint verification is not a feature of the device, an Apple representative told CNN. It is also unclear how the file transferred from the watch to the phone. US President Donald Trump has said Saudi Arabia could be behind Khashoggi's disappearance. He warned that Washington would inflict 'severe punishment' if that is the case. Trump told CBS's '60 Minutes' program during an interview on Thursday: 'We're going to get to the bottom of it and there will be severe punishment. Conversations between those involved in Khashoggi's alleged assassination were recorded at the embassy, the Washington Post previously reported - but it was not clear how these recordings had been made or later found. An insider told the newspaper: 'The voice recording from inside the embassy lays out what happened to Jamal after he entered. But Turkish officials have been reluctant to release the recording as it may give away how they spy on foreign entities based at the embassy, the newspaper reported. The Kingdom of Saudi Arabia denies claims that something happened to Khashoggi and insist he left unharmed. CCTV shows Khashoggi going into the embassy and a source has told The Washington Post he was killed and then dismembered by members of security. The US-based journalist, 59, was critical of some of Crown Prince Mohammed bin Salman's policies. His fiancée Hatice Cengiz, 36, had been waiting outside the embassy for him but he never walked out. US Treasury Secretary Steven Mnuchin says he is 'planning' on going to a major investment conference in Saudi Arabia despite the troubling reports. But several top CEOs and media figures have decided they will no longer attend the conference. Billionaire mogul Richard Branson has suspended talks with Saudi Arabia over $1billion investment in Virgin Galactic. 03:28: Gulf Stream IV private jet carrying suspected Saudi agents arrives at Istanbul airport. 05:05: The group checking into two hotels nearby to the Saudi consulate building. 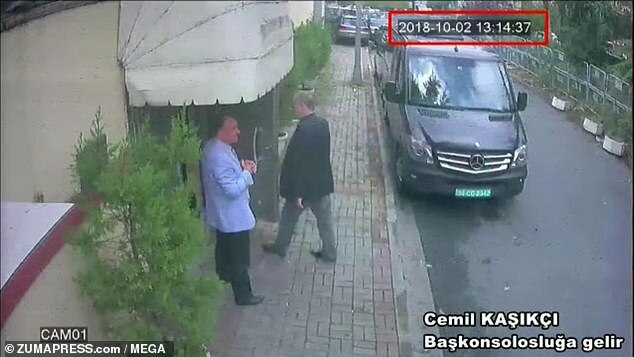 13:06: Jamal Khashoggi is last seen on WhatsApp. He then hands his mobile to his fiancée Hatice Cengiz. 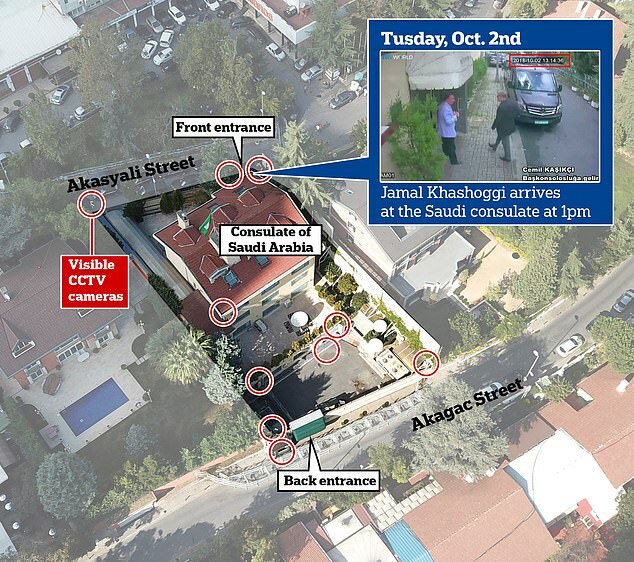 13:14: Khashoggi enters the consulate building. 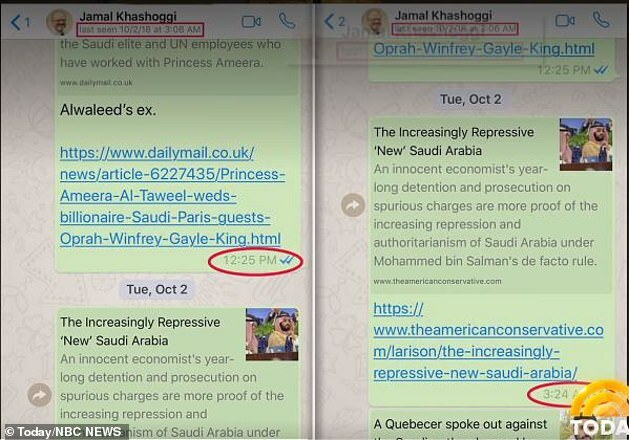 13.24: A message is delivered to Khashoggi's WhatsApp – but it is never read. 15:08: Vehicles leave the consulate and are filmed arriving at the nearby Saudi consul's residence. 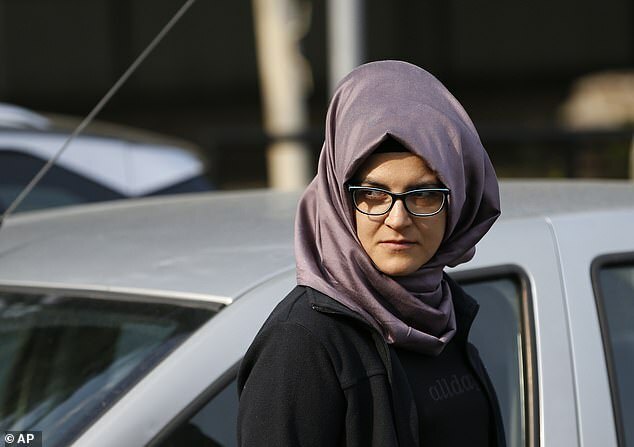 17:33: Khashoggi's Turkish fiancée, Hatice Cengiz, is seen on CCTV waiting outside the consulate. 18:20: One of the private jets departs from Istanbul airport. 21:00: The final plane leaves Istanbul. The Washington Post, for whom Khashoggi writes opinion pieces, raises the alarm, saying Khashoggi has not been seen since he entered the consulate. After an initial period of silence, Saudi Arabia says Khashoggi had disappeared 'after he left the consulate building'. *All times in Istanbul time. 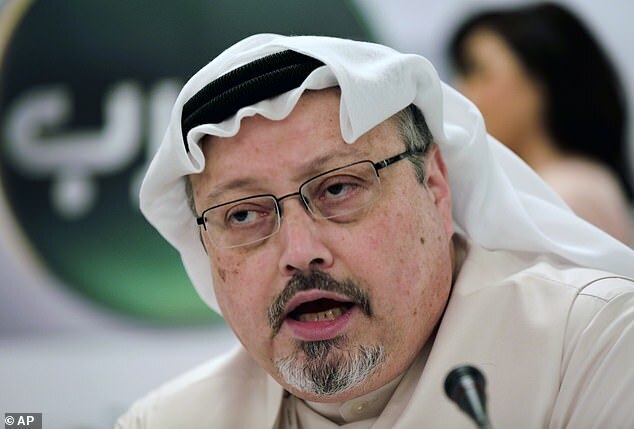 Tom Tugendhat, chairman of the Commons Foreign Affairs Committee, suggested action should be taken if the Saudi state murdered Khashoggi. 'The first thing for us to do is for us to get together with our allies, the United States, the Europeans and others, to discuss very seriously what's going on,' he told BBC Radio 4's Today programme. He also suggested that International Trade Secretary Liam Fox could boycott a major conference in Riyadh. 'I don't think, if this is proven, that British cabinet ministers should be going, but at the moment it isn't proven so we need to be slightly cautious,' he said. Riyadh faces a chorus of international calls to shed light on what happened to the Washington Post columnist, and business leaders have already shunned the regime.